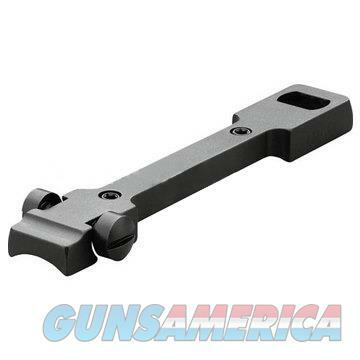 Description: This Leupold STD 1-Piece Base (51732) is rock-solid, windage adjustable and also fits in most rifles. The forward part of the base accepts a dovetail ring, locking it solidly into position. The rear ring is secured by Windage adjustment screws. Using the windage adjustment feature built into the base allows the centering of windage adjustment clicks on the scope for a more accurate and dependable elevation adjustment plus, you never run out of windage adjustment due to misaligned receiver drilling. All bases include torx screws and torx driver tool. We are a large Sporting Good store located in Mebane NC. We have been in business since 1984.